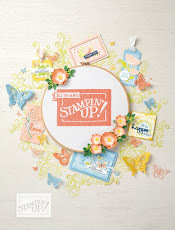 Just a quick post to let you in on Stampin' Up's new October Promotions! 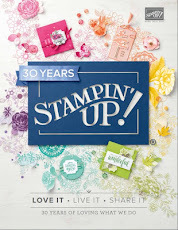 Since October is Stampin' Up's 25th Anniversary month, they have two special deals, one for Hostesses and one for new Recruits! to your Hostess Rewards for qualifying parties where sales are $350 or more before tax and shipping. The regular rewards for that level are $55, so add the $25 and you would have $80 in free product of your choice!! So book your party with me this month and invite all your friends and even your out-of-town family and friends can order on-line with a Hostess Code! 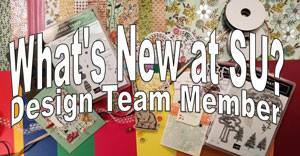 Have you been considering joining my Stampin' Up team? 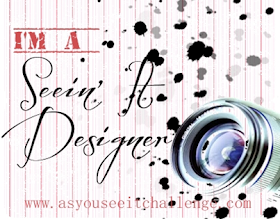 Between Oct. 7 - 21 would be the time to act on that because you can sign up for just $25 then. Offer: New recruits can join Stampin' Up! for just $25 ! 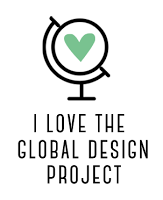 You won't get a ton of product with this, but your first order after signing up that is $200 or more will give you a one time 30% discount, so that is how you can get the supplies you need. So if the sign up price was holding you back, this is the right time to join my team! Don't hesitate too long because it's only available for two weeks starting Oct. 7!